I would just like to take a brief moment to say Yahoo! My fabrics and sewing patterns are now officially out in the great wide world! I have shoved them right out of the nest, and now we’ll see if they remember to flap their wings. 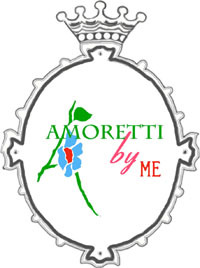 There’s a whole new section of the website now as well – Amoretti by ME which has the fabric and the patterns. I’m offering a pattern and fabric giveaway over at the Fortnightly Purse – so pop on over there to enter! I’ll be doing more giveaways over the next week, so remember to check back in. Coupon codes are being scattered recklessly about as well . . . you can get 20% off the patterns with the code debut party. So cruise on over there and get your pre-order in! Will be ordering some of that wonderfully bright Yellow Whirligig to sew up a twirly skirt for my 10 year old — she’ll love it! I love everything, Bekah!! Way to go!! 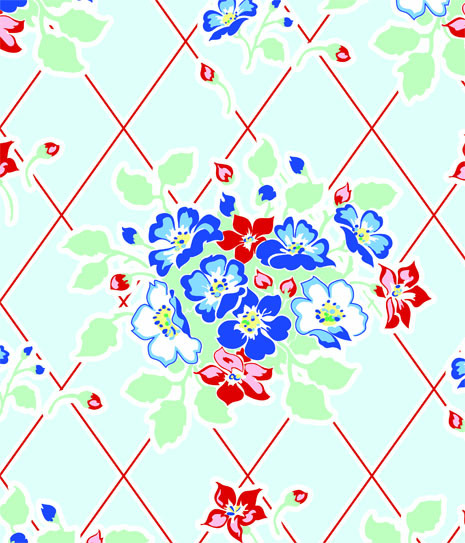 Wouldn’t this make fun oilcloth? Wow – this is so exciting! The fabrics are all so wonderful-lovely-fun. These are absolutely lovely! Wow! Beautiful!